There are many reasons to earn an official IIA certification designation. Whether it’s the hallmark designation of internal audit — the Certified Internal Auditor® (CIA®) designation — or one of our four specialty industry certifications, obtaining a certification is professionalism defined. Help you earn credibility and respect in your field. Open more opportunities for advancement. Prove your willingness to invest in your own development. 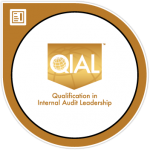 Improve your internal audit skills and knowledge. Build confidence in your knowledge of the profession. *According to The IIA’s 2012 Internal Audit Compensation Study (Study), the median salary of auditors who hold their CIA designation is as much as 40 percent higher than peers without the credential. 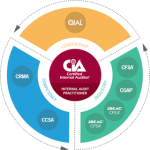 The CIA is the only globally accepted designation for internal auditors and the standard by which individuals demonstrate their professionalism in internal auditing. Moreover, earning the CIA designation is more than just proof of what you know and what you’ve achieved — it’s the best way for auditing professionals to communicate to the world that they are prepared to meet today’s challenges. The CCSA is a recognized professional designation for CSA practitioners at any CSA experience level who are responsible for driving organizational change. Understanding key concepts like risk and control models enables CSA practitioners from all backgrounds to master the techniques that are vital to helping companies achieve their objectives. Just as important, earning the CCSA is a great way to help you achieve your objectives as you seek to move forward in your career. The CFSA is a valued specialty certification for audit professionals working in banking institutions, thrift/savings and loan organizations, credit unions, insurance companies, security and commodity services, holding and investment companies, credit agencies, financial services regulatory agencies, and other financial services organizations. If your goal is to continue to grow as a financial services audit professional and demonstrate the breadth of your financial services knowledge, the CFSA designation is for you. The CGAP certification program is designed especially for auditors working in the public sector at all levels – federal/national, state/provincial, local, quasi-governmental, or crown authority — and is an excellent professional credential that prepares you for the many challenges you face in this demanding arena. 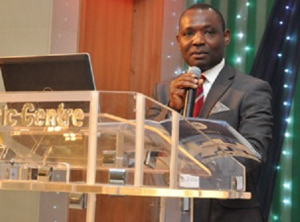 The CRMA is a mark of professional distinction for internal audit practitioners. Earning the CRMA will assist you in demonstrating your ability to provide assurance on core business processes in risk management and governance, educate management and the audit committee on risk and risk management concepts, focus on strategic organizational risks, and add value for your organization. Applying for a certification program. Accessing and using The IIA’s Certification Candidate Management System (CCMS). Registering and scheduling an exam/part. Preparing for the certification exam. Checking in at a test center and taking the exam. Exam content information, format, and scoring. Requirements for maintaining your certification. There have been significant updates and enhancements to the certification process, ranging from new and updated forms to expanded eligibility and education requirements. If you are referencing a Certification Candidate Handbook published prior to December 2013, please download and review the revised document for the most up-to-date information. Developed in response to a high demand for timely thought leadership that is powerful, timely, relevant, topical and responsive to global geopolitical and economic influences, The IIA created Global Perspectives and Insights. This new thought-leadership series, offers insight and direction on key issues, with perspectives that resonate globally. Its content will come from a variety of sources, including: IIA Global, Institutes, Associated Organizations, and advocacy partners, such as IFAC and INTOSAI. 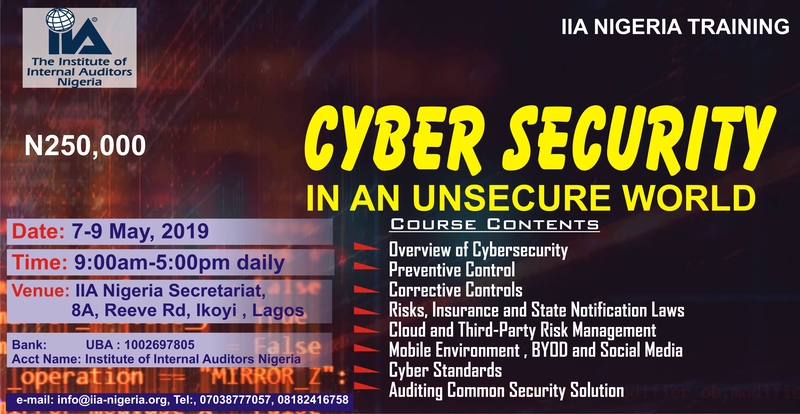 While it would not be practical for someone to know everything about a topic as complex and fast-changing as cybersecurity, it has become essential for a chief audit executive (CAE) or head of internal audit to be cybersecurity-savvy. This paper explores how a team effort, support from the top, enhanced cybersecurity knowledge and awareness, and a focus on cyber resiliency can help the CAE position internal audit to be an organization’s trusted cyber adviser. Interested in learning more about current trends in the internal audit profession? A number of periodicals are available from The IIA and IIA Institutes around the world, including the award-winning print magazine Internal Auditor and its online counterpart InternalAuditor.org, as well as newsletters available to all IIA members. Welcome to the world’s leading publication covering the internal audit profession. Internal Auditor magazine shares timely, helpful — indispensable — information for professionals who want to keep pace with the diverse, dynamic field of internal auditing. Iacontent may be reprinted with the appropriate permission. (Free to the public) IIA Global SmartBrief provides a monthly snapshot of worldwide news and issues affecting internal auditors and their stakeholders from leading global news sources. SmartBrief, a service that reviews thousands of news sources, delivers timely articles affecting the profession straight to your email inbox the third Tuesday of each month.Subscribe now. (Free to the public) Tone at the Top provides executive management, boards of directors, and audit committees with concise, leading-edge information on issues such as risk, internal control, governance, ethics, and the changing role of internal auditing; and guidance relative to their roles in, and responsibilities for, the internal audit process. Tone at the Top is also available online in Spanish, translation courtesy of IIA Ecuador. The IIA’s quarterly global newsletter, Global Connections, is distributed directly to members of Institutes who have selected direct service from IIA Global and to all members-at-large. It is accessible on the web to any active IIA member worldwide. Published bi-monthly, Your Global Career Compass is designed to provide members with one resource that includes relevant tips and guidance on education and knowledge produced by IIA Global and IIA Institutes around the world. Each issue of Your Global Career Compass is designed to include all resources available worldwide on a single topic. Issues will focus on cybersecurity, governance, ERM, fraud, and other emerging topics affecting our members, with resources to enhance their professional development. For Trainings: Do you have questions about how our trainings can help your company? Send us an email and we’ll get in touch shortly, or phone +2347038777057 between 8am and 5pm Monday to Friday — we would be delighted to speak.